Home / Criminal Defense / Can Snapchat Posts Get You Arrested? Yes, Snapchat can get you arrested. The popular multimedia photo and messaging app launched in 2011 can expose you to legal troubles in several ways. In particular, the behaviors that should be avoided are listed below. You may be sharing sexually suggestive or explicit photos or messages via Snapchat, as you also might do with social media platforms like Instagram, Facebook and Twitter — or via texts. While sexting —sending sexual images — isn’t illegal in itself, it is illegal if it involves minors (which in Texas are those under 18 years old). Even if a minor consents and takes the photos or videos, distributing such selfies can be a crime. This legal trap of Snapchat could involve someone who isn’t in a public place having their image recorded and distributed via Snapchat. If the image is objectionable, that can be deemed an illegal invasion of their reasonable expectation of privacy. It’s also illegal to make threats, especially violent ones, in any form — including Snapchat. Based on this Snapchat post, the teens were charged with committing a hate crime, making terrorist threats and criminal conspiracy. Punishment can be seven to 12 years in prison. Another Snapchat pitfall is when the images sent convey a crime. Those images become an incriminating record of the crime and can be used as evidence against you. Of course, a key feature of Snapchat is that the photos or videos shared through the app are meant to disappear as soon as they’re viewed. Users can designate that the images display for one to 10 seconds, then end without being revisited. However, that’s only true if the post has been viewed by all persons to whom it was sent. If you shared images with many people, anyone who hasn’t seen them yet, in effect, keeps the images alive via Snapchat. That’s true for 30 days, after which the image is removed. But is it gone forever from Snapchat? While Snapchat officials say the images are deleted from their server, mobile forensics experts believe they still can retrieve them from the user’s device, such as an iPhone. However, police would need a search warrant to seek such images. Also, keep in mind that another device could make a visual record of Snapchat images while they display, and such a record would not disappear. A cell phone video could be aimed at Snapchat images during the seconds they appear. So you see, screenshots can be taken of Snapchat like anything else. If you use Snapchat, to protect yourself you must realize that just because “snaps” tend to disappear quickly doesn’t mean they can’t be used against you if they are discovered to show illegal or criminal behavior. If you have further questions, you can consult the Snapchat Law Enforcement Guide. 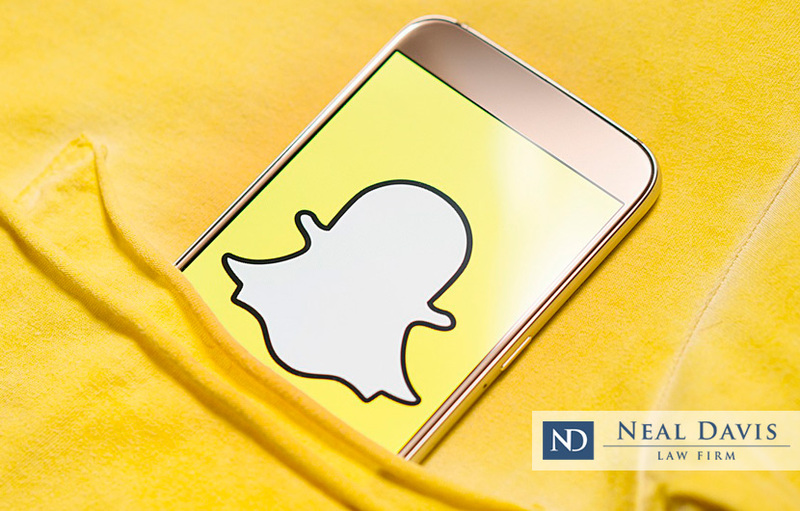 If you or a family member face a criminal charge based on Snapchat or other social media evidence, get experienced legal help from a defense attorney in Fort Bend County, Montgomery County, Houston and Harris County. Don’t delay — your freedom may depend on it. Contact the Neal Davis Law Firm. We’ll start with a free legal review of your case.